The most natural form of cannabis available on the market, buds are the name for trimmed cannabis flowers. Female plants produce the flowers that secret resin. It is likely that the marijuana you purchase for consumption is the female, seedless sinsemilla, which produces the large cannabinoid-rich buds. These buds, or flowers, are typically sold in 1g, 3.5g, or 7g quantities. Concentrates can refer to any number of products made of or from the extracted cannabinoid oils, which are separated from the plant itself by the use of solvents. The term is used to describe waxes for vaporizing, oils and tinctures for topical and oral application, and keif that can be used as an additive or to make hash. 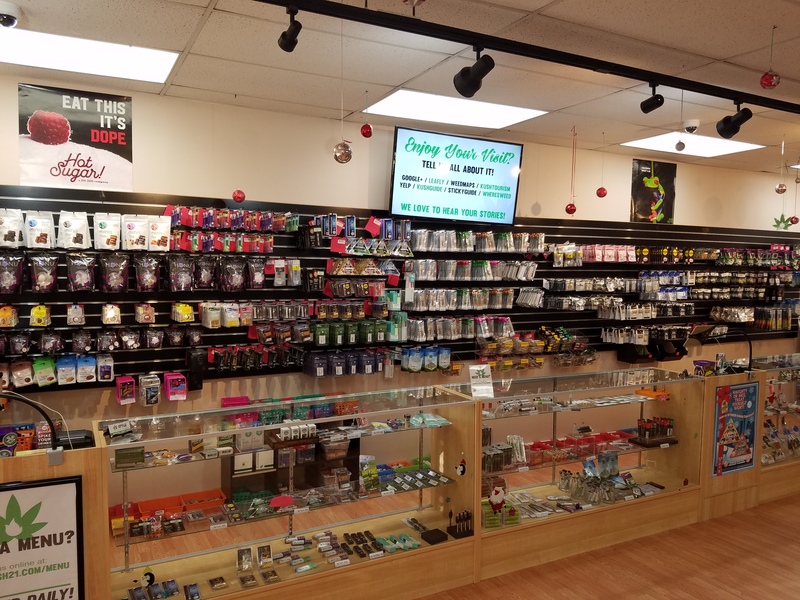 In addition to variety and discretion, beverages and edibles offer customers extensive choices across a number of variables. Consumers can choose products based on the concentration and expected effect of the psychoactive ingredient (THC or CBC) as well as the vehicle (punches, sodas, baked goods, or candy). The result is a delicious and efficient way to enjoy marijuana. Wellness products for cannabis come in large variety! They combine different concentrations of Cannabinoids and Terpenes in conjunction with other vitamins and minerals in hopes to improve the overall health of the consumer. This can include tinctures, capsules, Activated oils, sublingual, and trans-dermals. Cannabis has been rumored to help with anything from headaches and nausea to cancer treatment. Kush 21 combs through the best of our producers’ offerings in an effort to elevate the experience of long-time connoisseurs and to educate customers who are new to cannabis. Reach out today for more details or sign up for our newsletter below to stay up to date on our Specials and Vendor Day events. Choose a Recreational Cannabis Location Near You!